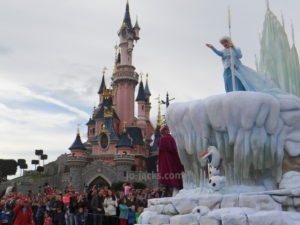 You really can’t go wrong by adding in a day at Disney when visiting Paris with kids. 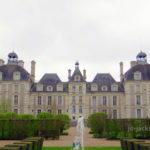 We really wanted to have at least one entire day devoted to the children and only the children ( to build up points for wineries and chateaus later). 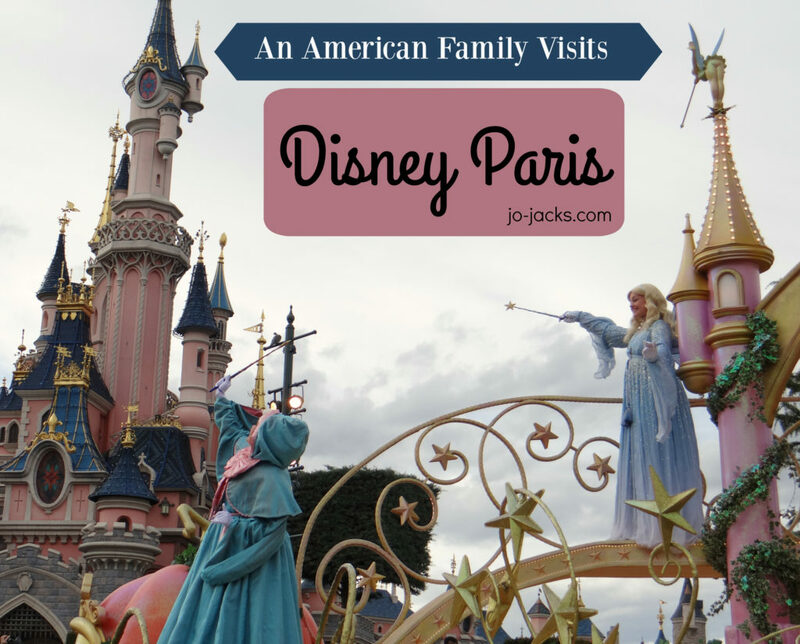 Our American family of 5 (mom, dad, boys ages 5,3,1) visited Disney Paris in early April 2016. If you look online you’ll see many discouraging reviews telling you to save your money for Orlando. We were pleasantly surprised at how good it was. And the nice thing about it not being Orlando is that I didn’t feel that pressure to make it perfect and have it planned out like a military mission. I mean honestly – I am on vacation! I don’t want to make a “Disney Trip Planner” binder with every restaurant tagged and our path through the park completely mapped out. 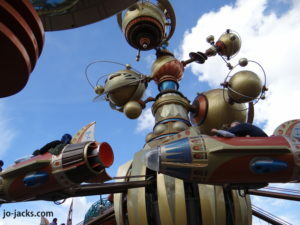 I want to do a bit of wandering and just coming upon a fun rides with serendipity, but I digress…back to Paris Disney. Dragon under the castle. 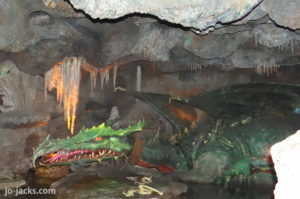 There isn’t much to this but our boys had us visit the dragon 3 times! 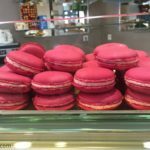 Pirates of the Caribbean – fantastic! Better than Orlando IMHO. Jedi Training show – you can register children ages 7-12 for a class that dresses them up as Jedis and hands them light sabers. They bring the kids onstage to perform in front of a crowd. 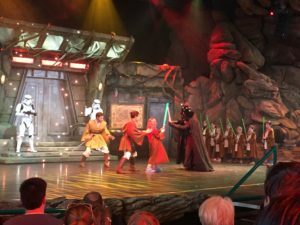 The Jedi Masters teach the apprentices a few moves, and then who should appear, trying to lure children to the dark side, none other than Darth Vader himself! Each Jedi apprentice has a turn to fight him. And then there is a grand finale that I won’t ruin but involves using the force. Info on how to register here. If this is something your kids really want to do I recommend you head straight to Videopolis to sign-up when the park opens. 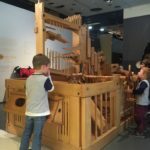 Even if your children aren’t old enough to participate, it is a fun to watch. 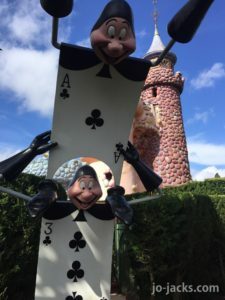 Buzz Light Year – My boys just like shooting guns. I try not to encourage it, but with this ride even Mom got in on the action (best score in the family – oh yeah!) Made my day. Nautilus – this is a wonderful walk-through attraction in the Discoveryland part of the park that recreates the nautilus submarine from the Jules Verne novel Twenty Thousand Leagues Under The Sea. It has a cool steam-punk vibe, a squid of course, and best of all, no lines. 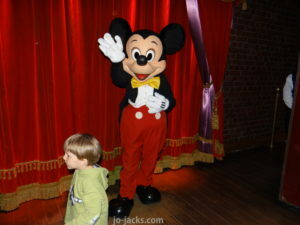 Seeing Mickey – we did an inside line to see Mickey in his movie star dressing room. It took us quite a while in line – 45 minutes. But they had cartoons playing the whole time so in the end it was nice to have a little downtime in a line that wasn’t boring. The Parades – these were lovely and it was hilarious to watch an otherwise somewhat aloof and European crowd suddenly start bunny-hopping and singing. 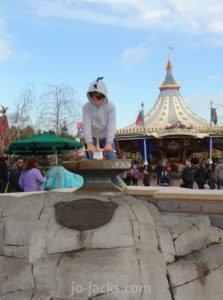 The sword in the stone. 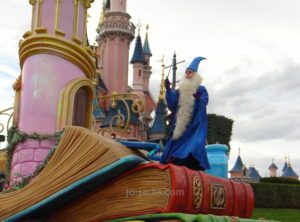 The Disney Paris design did feel European and fairy-tale at the same time. So charming. 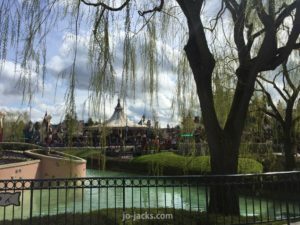 We were disappointed that many rides were closed for maintenance while we were there -Thunder Mountain, Peter Pan’s Flight, Star Wars tours, Swiss Family Robinson Tree House, etc. We knew some attractions would be closed as they renovate in preparation for 25th anniversary in 2017. But until you are in the park in person and see how small it is compared to Orlando, it doesn’t register that this was half of the park closed. It was disappointing for the parents, but our kids didn’t know any better and were perfectly happy. 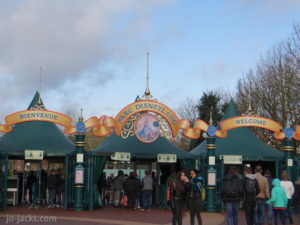 To see what will be closed during your visit check out the official Disney Paris site. When we reached Phantom Manor, which was supposed to be open, the gates were closed and costumed employees were politely informing guests that the attraction was closed for the remainder of the day. I was a bit angry and my husband made a dark joke about somebody probably died in there of fright. Well later that night we saw in the news that yes, actually an employee had died in the Phantom Manor that very day. Poor man was electrocuted. What a place to die! I am wondering if this will make the attraction more or less popular? It may be truly haunted now. 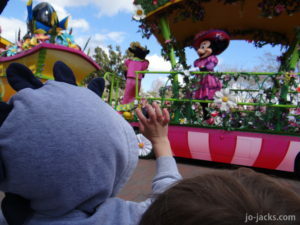 “Ahmm…Do you see anybody besides our family smiling?” “Check out the lady behind us with her arms crossed – she is downright angry!” There was just something a bit different about the European crowd than the one at Disney Orlando. Maybe they haven’t gotten the memo that this should be the happiest place on earth? Come on people – crack a smile! Or are Europeans just a bit uptight in general? And mostly all wear black? We stayed at the Little Explorers hotel outside the park. 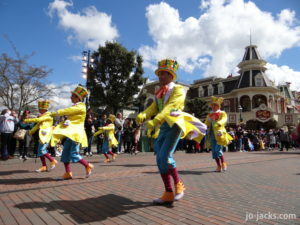 It is in a convenient location and better value than Disney park hotels. 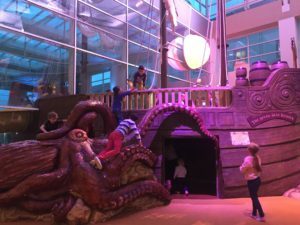 It has great amenities for kids – and inside pirate ship playground, ball pit/soft play room, inside pool with pirate ship spray pad, outside playground. For parents, all I can say is bring some aspirin and an extra pillow. 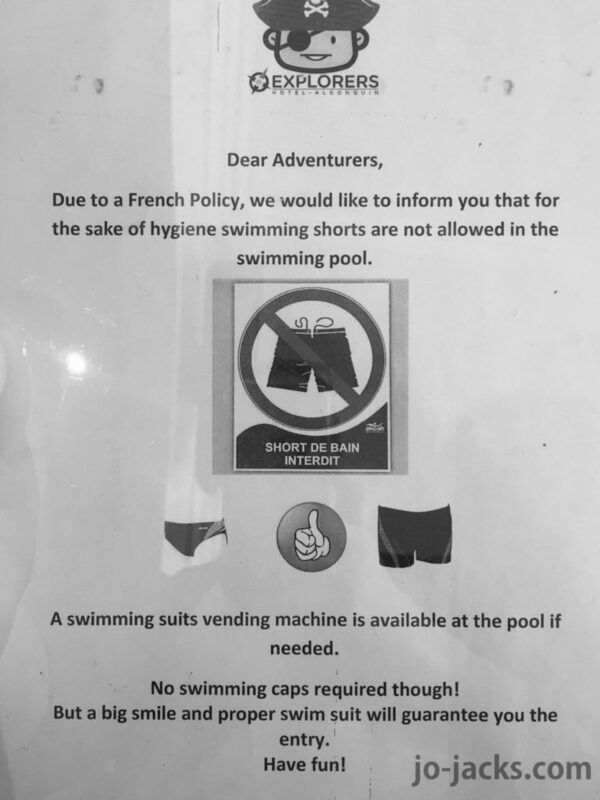 And take note of their policy on swimwear. I will spare you of the photos of my husband in the speedo he had to buy. But as Americans we found it shocking. 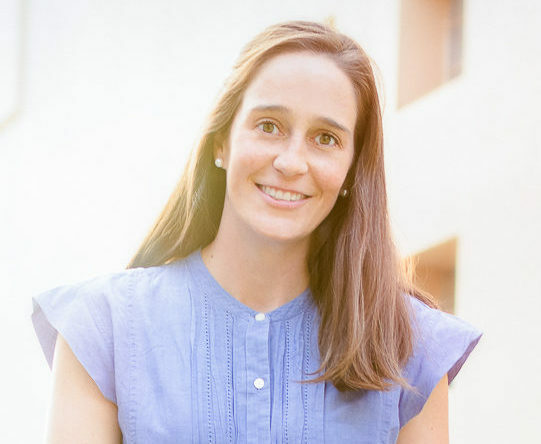 If you agree – check out my Top 15 Signs You’re An American Abroad.